In general, within FINPACK, the recommendation is to work down the left side file navigation to complete the credit renewal and analysis process. Start with data sources, move to financial analysis, complete cash flow projections, and then pull everything together with the credit analysis tools. With that being said, here is a bit more background on these tools and how they aid the credit renewal process. Balance sheets and tax forms or income statements are the cornerstones of FINPACK tools. Basically, every tool in FINPACK uses one of these data sources. For any credit renewal, updating the balance sheet and entering new tax form or income statement information is a must. (Remember, FINPACK Lite and the balance sheet worksheet can assist with these tasks.) This should be the starting point in any credit review process. Single statements and trend reports can both be generated here. Schedule F Cash to Accrual – Actual farm business performance is difficult to ascertain from the cash-based Schedule F tax form. Using this FINPACK tool provides accrual net farm income and business performance over multiple years. Earned Net Worth Analysis – Receiving year-end balance sheets can be a challenge from customers. If balance sheets are received at time of renewal, then the earned net worth analysis is probably the best choice for your institution. Here beginning and ending balance sheets are reconciled to calculate earned net worth and term debt coverage over the period. Global Cash Flow – This FINPACK tool analyzes the repayment ability of multiple businesses, individuals, and guarantors. Based on tax returns for each entity, this analysis calculates debt coverage for each entity and globally. C & I Business Analysis – uses tax return or income statement data, along with the current balance sheet to analyze the financial performance of business selling a good or service. Statements are analyzed on a common-sized and percent change basis and users have the ability to generate RMA comparisons as well. This FINPACK tools also helps to gauge the cash drivers of the business. CRE Analysis – this tool analyzes income-producing real estate for past and projected performance. 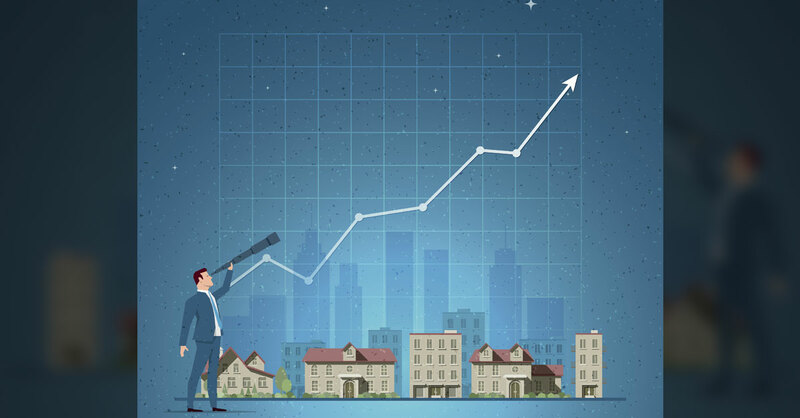 The ability to stress the analysis is also included and allows to more fully analyze the impact of vacancy, rental rate, and interest rate scenarios. Cash flow projections are available for both agricultural and commercial credits but are more commonly used in agricultural credit analysis. Cash flow projections evaluate the anticipated future performance of the business to evaluate liquidity, annual operating loan needs, and business repayment capacity. To make cash flow planning meaningful, it is important to know the history of the business. Cash flow planning is most accurate when preceded by a financial analysis of the past year(s). Past records provide a foundation on which to build the cash flow projection and these details can be used to prepare the projection for the coming year. Collateral Analysis – builds from the balance sheet to calculate loan to value and collateral margin. The collateral analysis can then feed directly into the Risk Rating and Loan Presentation Manager. The analysis can be broken into multiple collateral groups if desired and proposed loans and newly projected collateral can be included in the analysis as well. Risk Rating – the risk rating model(s) already being utilized by your institution can be generated in FINPACK. This tool can utilize data from throughout FINPACK to generate the rating and can also include user-defined criteria (like credit score) as a piece of the analysis. Multiple models can be created for different types of loan requests (agriculture versus commercial for example). Presentations – this tool is a powerful word processor that combines FINPACK data and the loan narrative into one document. The presentation template provides a customized solution to prepare customer loan presentations in a concise and consistent manner. Credit Decision Scorecard – this often overlooked tool can provide a fast track to the loan decision process. This scorecard tool is used to provide automatic loan approval, based on the parameters determined by the institution to streamline the approval process. There are a whole host of FINPACK tools to assist lenders with the credit renewal process. Certainly, not everyone uses every tool, you should evaluate what makes sense for your situation. Which tools is your institution using? Can others be employed to further assist with the credit approval process?